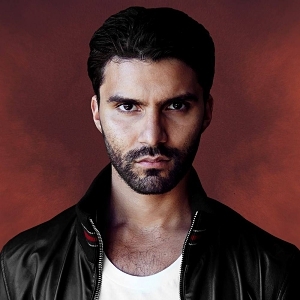 Fadil El Ghoul, commonly known as R3hab is a house music DJ and producer from Breda, Netherlands. He was born on 2 April 1986. He’s been an active musician since 2007. He works primarily on electro house, progressive house, big room, EDM trap. He’s also one of the most notable names in the Dutch house subgenre. He worked on a track titled Mrkrstft with Hardwell in 2007, and the song was subsequently released in 2008. R3hab went on to collaborate further with Hardwell, Addy van der Zwan, and Ferruccio Salvo. His music caught the attention of fellow Dutch DJ Afrojack, who went on to sign R3hab to his record label, Wall Recordings. The two have since collaborated on songs such as The Bottle Song and Prutata. One of R3hab’s most famous songs, Pump the Party, which he worked on with Ferruccio Salvo and released in 2010. He has collaborated with the likes of Shermanology, Bassjackers, Steve Aoki, KSHMR, Headhunterz, Mike Williams and Krewella. He collaborated with Havana Brown and Prophet to release a single titled Big Banana. The song was a success. It hit the number 1 spot on the US Club chart, number 15 on the US Dance chart and number 18 in Australia. The Australian Recording Industry Association (ARIA) issued the song a platinum certification for selling more than 70,000 copies. He was given the IDMA Best Breakthrough Artist Award in 2012 during the Winter Music Conference (WMC), held in Miami, Florida. That same year he started a radio show titled I Need R3hab. The show airs via the SiriusXM satellite radio network. His first official full-length studio album, Trouble was released on 15 September 2017 as a digital download, and physical copies were pressed on CD. The project peaked at the number 9 spot on the Billboard US Dance chart. Four songs from the project also reached the US Dance chart. The song I Just Can’t managed to reach the number twenty-two spot. R3hab’s sounds are generated by soft synths of which Sylenth1 is his personal favorite. He uses Ableton Live, Presonus Studio One and Steinberg Cubase DAWs for producing music. His live sets are powered by various Pioneer DJ mixing units such as the Pioneer CDJ-800MK2 and Pioneer DJM-900. Headphones in his collection include a pair of Beats by Dre Pro, Pioneer HDJ-1000, Beyerdynamic DT 770 Pro-80 and V-Moda Crossfade M-100. He prefers to use a pair of Event Opal studio monitors as his speakers. His radio show is recorded using a Telefunken U47 microphone. He owns a copy of Native Instruments Komplete, which contains various software synths, sound libraries and software effects processors. Dada Life Sausage Fattener is also one of the effects plug-ins he uses in some of his productions. On the hardware side, he has a Roland Edirol PCR-800 MIDI keyboard controller as well as a TC Electronic PowerCore FireWire interface. What kind of headphones does R3hab use? What kind of studio monitors does R3hab use? What kind of laptop and computer does R3hab use? What kind of DJ setup does R3hab use? What kind of keyboards & synthesizers does R3hab use? What kind of music production software does R3hab use?